Did you know that taking some herbal supplements in the two weeks before or after having surgery can be dangerous? In fact, these nutritional supplements can be as dangerous as taking aspirin or Advil (ibuprofen) before surgery. Most people know they should tell their doctors about any prescription or over-the-counter drugs they are taking, especially when they are planning to have surgery. But not everyone stops to think about the possible risks their herbal supplements could pose to the success and safety of their surgery. Many people assume that just because a product is labeled as "natural", it is harmless. The truth is that many powerful drugs (and poisons) are based on natural substances, so it's clear that many natural substances can have a potent effect on the body. If this seems surprising, hemlock is "natural" and "plant-based" and can even be grown organically, but it didn't do much for Romeo and Juliet's relationship. We understand why people may be reluctant to report their used of alternative therapies such as herbal supplements to their surgeon. Medical doctors, in general, are not very familiar with nutritional supplements and may disapprove or even lecture a person about using these treatments. Yet people who withhold this information can pay a hefty price. Another problem with reporting supplements is that people fear their surgery will be postponed if they admit they are using a supplement, and this can certainly occur. It's often not enough to just skip a supplement on the day of surgery. Some of these supplements have to be stopped at least two weeks prior to surgery for surgery to be safe. Below is a general list of herbal supplements that may affect surgical outcome and safety. Keep in mind that some herbal supplements have a combination of compounds. In addition, some of these supplements go by more than one name. Your best bet is to bring any supplements with you to your pre-operative appointment and have your surgeon read through the ingredients. 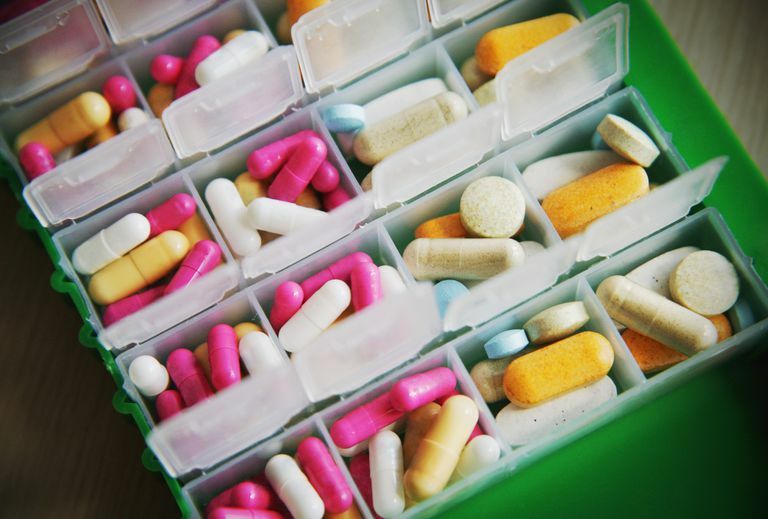 In general, it is recommended that you cease taking any of these supplements at least two weeks prior to your surgery date (and don't resume taking them until you have your doctor's OK). Below we list some of the known problems which herbal supplements may cause in surgery. This list is not exhaustive. Again, as noted above, some supplements may contain a combination of herbal remedies and each of these may have more than one name on a label. The American Society for Aesthetic Plastic Surgery encourages doctors to give detailed lists of these supplements to their patients. One of the best things you can do is to tell your doctor about anything that you take daily. If you think about it is this way, you will remember to disclose all the vitamins, supplements, and medications you take regularly. If you use herbal supplements, make sure to learn about herbal supplements which may be contaminated or toxic. Levy, I., Attias, S., Ben-Arye, E. et al. Perioperative Risks of Dietary and Herbal Supplements. World Journal of Surgery. 2016 Nov 22. (Epub ahead of print). Singh, V., Mohammad, S., and N. Singh. Herbs and Surgery. National Journal of Maxillofacial Surgery. 2012. 3(1):101-106. Wang, C., Moss, J., and C. Yuan. Commonly Used Dietary Supplements on Coagulation Function During Surgery. Medicines. 2015. 2(3):157-185. Wong, A., and S. Townley. Herbal Medicines and Anaesthesia. Continuing Education in Critical Care and Pain. 2011. 11(1):14-17.